Hello all! BookPeople has officially kicked off its season of giving! If you’ve stopped by the store in the past month you’ve probably seen our brand new 2018 catalogue! The catalogue is full of our favorite books, gift items, and this year, charities! To further celebrate those charities we will be posting spotlights throughout the month! Each weekday for the next few weeks, we’ll be hosting “give-back” days in the store for a different organization. Mention that day’s organization’s give-back promotion, and 20% of your purchase will be donated to them. Check out our calendar or visit this page to find out more. The December 4th spotlight is Austin Allies! Austin Allies is a family oriented volunteer group that connects with the Austin community through service projects, donation drives, book clubs, and more! Austin Allies’ primary goal is to give families a safe and easy way serve the community they love, in any way they can. This volunteer group works hard, reaching out to charities all across Austin and finding out what they need, whether it be a couple of helping hands, or collecting donations. In addition to all of the great charitable work that Austin Allies does, they also work to gather together to discuss important topics that affect the groups that they are helping. Austin Allies achieves this goal by hosting playdates, group meet-ups, and even a kids book club hosted at BookPeople! These activities help build empathy and foster an environment in which families can expand their world view. 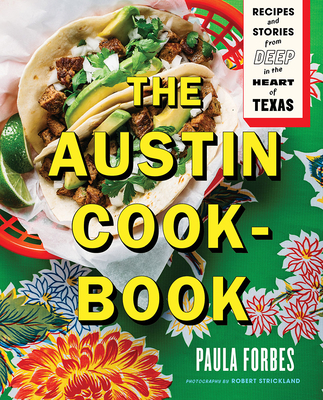 Stop by Bookpeople on December 4th to check out The Austin Cookbook and to do some holiday shopping! When you get to the register, mention this blog post and 20% of your purchase will be donated to Austin Allies! Keep an eye out for more Season of Giving spotlights to come!